IT security predictions and identity management trends for 2016. Last year, security breaches became a boardroom topic. 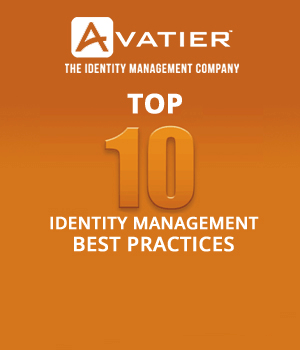 In 2016 leading organizations recognize identity management as a business enabler. When security breaches’ occur, identity and access management (IAM) contains the cost and limits damage. To mitigate risks, organizations must shift their security focus to detection and response. With increasing targeted threats, IT operations must change too. Last year, millions had personal information stolen from enterprises, universities and government agencies. Unfortunately, this trend continues. As a reaction, more money will be spent on security. In spite of the increase, investments will fail to return optimum results. For insight on where to invest, check out our identity management and IT security predictions. Find out the challenges to expect and opportunities to succeed in 2016. Prediction: Growing sophistication of security attacks results in greater damage to unprepared enterprises, universities and agencies. 2014 became known as the “Year of Retail Breaches.” In 2015, everyone entered the fray. With an interesting twist, incidents were down, yet no one is celebrating. The InformationWeek DARKReading Reports, 2015 Strategic Security Survey provides insight into the reason. From 2014 and 2015, malware incidents decreased by 8%. However, total records stolen increased by more. Security breaches cost more and senior executives lost their jobs at an unprecedented rate. In 2016 the trend of fewer incidences continues. Events will cost more, and an increasing number of Chief Executives will be removed for security failures. Prediction: Enterprises realize savings from BYOD policies by bridging the security void with low cost multifactor authentication. Bring Your Own Device (BYOD) initiatives stalled in 2014 and 2015. Nevertheless, BYOD initiatives are expected to double this year. According to the 2015 Cyberthreat Defense Report North American & Europe, more than three-quarters of businesses will adopt BYOD policies this year. BYOD mobile devices represent enormous enterprises security risks. BYOD forces security to contend with an array of devices. To reduce vulnerabilities, IT organizations look to BYO security opportunities to enhance authentication. In 2016, SMS, personal email and social networks are leveraged for low cost two-factor and multifactor passwords, provisioning, and privileged access authentication. Prediction: To secure a cloud perimeter, organizations look to web access management for apps, services and social sign-on. The Trend Micro 2016 Security Predictions estimate mobile malware reaches 20 million. From popups to spyware, malicious apps are affordable and easy to launch. Primarily, mobile malware targets enterprise cloud users who will increase by 18%. Unfortunately, cloud security policies, enterprise processes, and reliable technologies trail adoption. In rushing to market, mobile apps frequently lack sufficient security controls. With the cloud, security controls are often minimal, thereby, creating greater risks. Without better security, mobile app attacks continue to increase with real world impact. To reduce mobile access risks, successful organizations authenticate through web sign-on app stores. Prediction: Failure to adopt IAM as a best practice adds to security exposure by increasing vulnerabilities and making containment difficult. 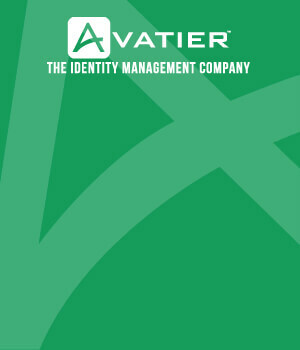 Identity and access management (IAM) provides essential user access controls. InformationWeek DARKReading Reports 2015 Strategic Security Survey reports 52% of organizations use identity management. The security value and an increase in IAM deployments should be a given. Although considered best practice, the Survey reports little change in IAM adoption during 2015. A lack of time and money is the reason most frequently cited. Respondents also listed their Biggest IT Security Challenges. 23% gave controlling user access to systems, 18% put meeting compliance requirements, and 14% marked preventing employee data theft. All total, 45% of their biggest challenges are mitigated by IAM. 2016 will be disastrous for organizations lacking identity and access management security controls. Particularly, organizations in high-risk industries will experience more direct target attacks. Targeted threats will spread across enterprise platforms to cloud and mobile devices. To counter organized crime and elite nation state teams, enterprises must act immediately. Check out the rest of our predictions where we reveal why empowerment matters. In conclusion, we’ll bridge the talent deficit and disclose 2016’s biggest loser. 2016 identity management and IT security predictions continued. Don’t fall victim to BYOD, IAM, and governance pitfalls identified in our IT security predictions. Begin your identity management initiative by following what corporate compliance experts recommend for the workflow automation of businesses processes, self-service administration and IT operations. Nelson Cicchitto serves as the Chairman and Chief Executive Officer of Avatier Corporation where he oversees its overall corporate and product strategies. He is a career information technology leader with over 20 years of experience defining and implementing information technology visions for Fortune 100 companies. Nelson continues to lead in commercializing the world’s most user-centric delegated administration solutions for Windows, Linux and the Cloud.